The Gruff Guide – Buy here! 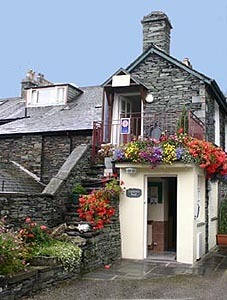 The Cuckoo’s Nest is situated in Ambleside town centre, but in a quiet location isolated from the bustle outside. 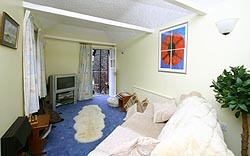 Lovingly refurbished in 2004 to a high standard, it offers peace and charm in a romantic setting for two. It has all you need for an extra special, enjoyable lazy break. Just a step or two outside are all the good amenities Ambleside has to offer, including restaurants, take-aways, pubs and cinemas, and many walks to suit all abilities. 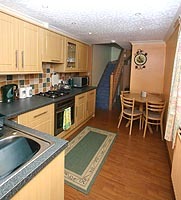 The accommodation is on two floors and consists of kitchen/dining area, lounge, bathroom and one double bedroom. Facilities include gas central heating, fully fitted kitchen (including dishwasher, fridge, freezer, microwave, kettle and toaster), bathroom with shower, Jacuzzi bath and hairdryer and lounge with TV, DVD and video player. Private parking and cycle storage are available and Low Wood Leisure Club membership is also offered. Terms are from £330 to £530 per week, according to season. Prices are inclusive of gas, electricity, towels and bed linen. Bookings are from Friday to Friday.